Unfortunately, there really isn’t a clear answer. Thing is, the price of metals is coordinated by the market. And market changes, such as supply issues of any given metal, can drastically change prices. So the world’s most expensive metal today might not be tomorrow. It’s also important to note that there are other substances that are much more expensive than most metals. Of course, you know of precious gems like diamonds and rubies that command high market prices. The most expensive of these gemstones are those that exhibit a rare natural coloring. Red diamond is the most expensive fancy gemstone, with prices ranging from $1 million to $12 million per gram. 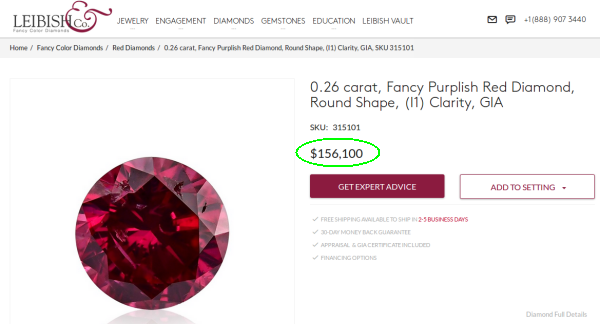 Compare that to gold (currently worth about $42 per gram), and red diamond is worth up to almost 285,000 times more than gold. Here's one 0.26-carat stone from Leibish with an asking price of $156,000. At this price, you'd pay $3 million per gram. Then there are substances like illegal drugs, which are more valuable than most metals. Cocaine, heroin, and meth are all more expensive than gold. (You might want to consider that if you ever think of using any of these drugs — snorting cocaine is more expensive than snorting gold.) But the most expensive drug is LSD. According to a few online sources, LSD can cost between $2,000 and $3,000 per gram. But that’s a wholesale price. 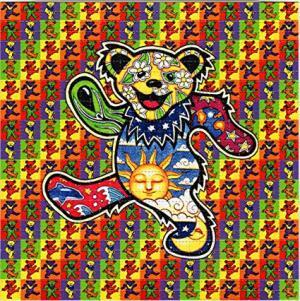 The average dose of LSD is 0.0001 grams and can sell for up to $20. At that price, one gram costs $200,000. Again, compare that to the current $42 per gram price for gold. Minimum of 10 years, and not more than life, in prison. If death or serious injury results, life imprisonment. Fines up to $4 million. And that’s the first offense. I’m not a lawyer, but I’d advise against trafficking LSD. On the list of the world’s most expensive materials are also legal and illegal medicinal drugs. One of the most expensive legal drugs on the market right now is called NovoSeven RT. NovoSeven is use to help prevent or control bleeding in patients with hemophilia A or hemophilia B. 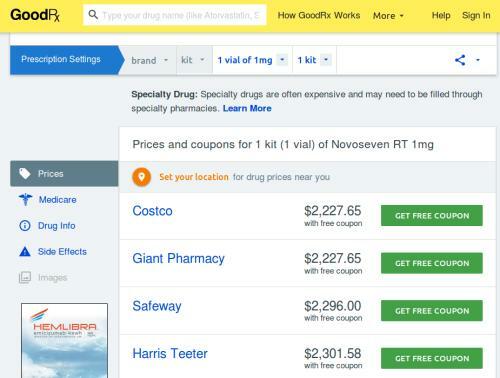 The discount pharmaceutical website GoodRx.com has 1 mg of NovoSeven priced between $2,227 and $2,347. That’s $2.2 or $2.3 million per gram. And that's with the coupon! Then there are substances like rhino horn. As much as it has been reported that rhino horn was being used as a substitute for Viagra, a 2012 report by TRAFFIC International, the World Wildlife Fund's trade monitoring program, said people would “routinely mix rhino horn powder with water or alcohol as a general health and hangover-curing tonic.” It’s an extravagant hangover cure, despite what the media has reported. 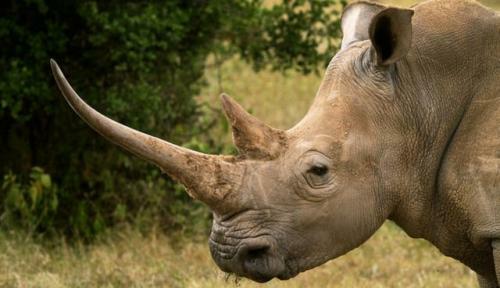 Either way, superstition has driven up the price of rhino horn. According to environmental organization WildAid, rhino horn was widely found to be selling for $65 per gram, with reports of prices over $100 per gram. That’s not as expensive as some of the other substances we’ve already talked about. But it’s certainly much more expensive than gold. Antimatter is the opposite of normal matter. More specifically, the sub-atomic particles of antimatter have properties opposite those of normal matter. The electrical charge of those particles is reversed. According to NASA, antimatter costs $62.5 billion to make one gram, making it the most expensive substance on Earth. Then there are substances like endohedral fullerenes, which are nanomaterials valuable to nanotechnology, electronics, optics, and other fields of materials science and technology. And they’re a bargain compared to antimatter, costing just $167 million per gram. So what about metals? Which are the world’s most expensive metals? The most expensive natural element is francium. To isolate one gram of francium would cost around $1 billion. And that would just be a complete waste of money. Francium decays so quickly that it couldn’t be collected fast enough to make a gram. So you couldn’t even buy a gram. And if that’s not enough to exclude it from our list of the world's most expensive metals, the bulk properties of francium aren’t known with any certainty. Researchers have never produced enough of it to confirm it’s actually a metal. If francium is a metal, it would be the world’s most expensive. Then there’s astatine with the same story: It decays too fast to collect an entire gram, and scientists still don’t know whether astatine is a metal or not. It’s also extremely rare. 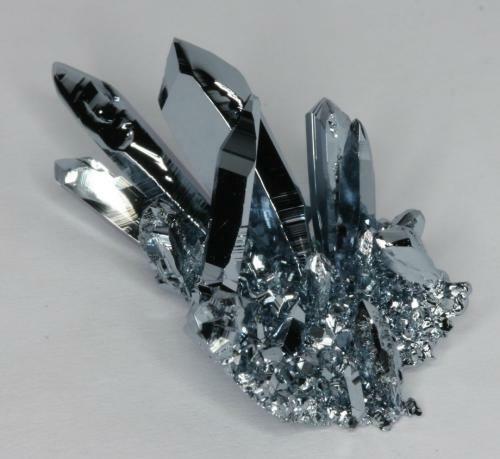 The total astatine supply in the Earth’s crust is about 1 ounce (31 grams). But for the sake of argument, let’s say francium and astatine are not metals. What’s the world’s most expensive metal? Most people say it’s californium. Californium — specifically the isotope californium–252 — is used to identify gold and silver ore resources and costs about $25 million per gram. However, like francium and astatine, no one buys californium–252 a gram at a time. It’s sold by the milligram at $25. But californium might not be the world’s most expensive metal. As of this writing, a well-known chemical supply firm now lists platinum-190 at a 4.19% enrichment for $4,890 per milligram with a delivery of 6-8 weeks. Mathematically this converts to $116,706,444 per gram in its pure state. I should note now that the elements francium, astatine, and californium are all radioactive. So even if you could produce enough stable material and could afford it, you wouldn’t want to own it. Platinum-190 is not radioactive. So, technically, platinum-190 is the most expensive metal you could possibly own safely. But that doesn’t mean it’s a good idea to buy it, especially for investment. Let me ask you this: To whom are you going to sell your platinum-190 when the time comes to divest? What is the most expensive metal you can buy, without turning into the Toxic Avenger or flushing your money down the toilet? Well, for that question, I have to go back to my original answer: The price of metals is coordinated by the market. And market changes can drastically change prices. So the world’s most expensive metal today might not be tomorrow. Yup. It’s boring old palladium. The price of palladium has been on a tear over the past year. Right now, June 2019 futures are priced at $1,324 per ounce. Compare that to gold right now: $1,292 per ounce. And platinum: $839 per ounce. But again, the world’s most expensive metal today might not be tomorrow. 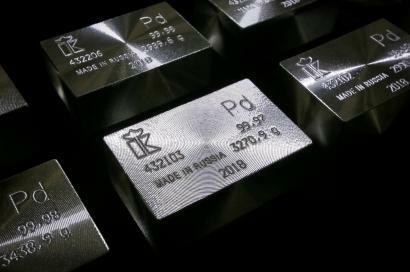 In fact, there’s a good chance palladium will lose its title as the world’s most expensive metal you can buy, without turning into the Toxic Avenger or completely flushing your money down the toilet, within the next few weeks. I told you it wasn’t a cut-and-dry answer.